When the Sun moves into Aries, the very first sign of the zodiac, we come back to life with a surge of excitement and motivation! This transit initiates the spring season and a brand-new astrological year, so it’s a grand time for new beginnings. We don’t have to know where we’ll wind up, nor will we have all our strategies in place yet -- the Sun in Aries is about putting things in motion, knowing we can improvise from there. The Aries Sun encourages us to let go of the past and the future in order to live fully in the present moment. Aries is not here to make us comfortable. 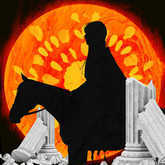 It is here to spark the imagination, put a burr in the saddle, and help us start anew. 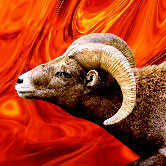 It’s Aries’ pioneering energy that propels us forward, breaking old habits and patterns so we can discover new worlds. Want to know if YOUR Sun is in Aries? Find out with a FREE Essential Birth Report sample now. 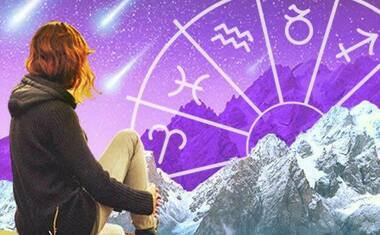 Find out what’s in store for YOU in the month ahead with a personalized 30-Day Astrology Forecast. Take the lead. 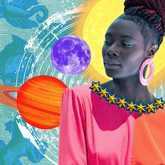 Fearless Aries is a natural born leader, so adopt this courageous energy for yourself now and use it to go after something you want. "I’m right and you’re wrong." Yes, Aries can be bossy, but this is just because they don’t have time to be wrong. They’re trying to get somewhere fast and they can’t let anything stand in their way! The point is to enjoy the confidence you’ll feel while the Sun is in Aries -- without being too pushy. Sporting events. Aries loves action, so head to the stadium or the ballpark to catch a game. Better yet, sign up for a sports lesson, such as tennis, or a join a local kickball team so you can become a part of the game! Sneakers. You’ve got to be dressed to go anywhere and do anything at a moment’s notice while the Sun is in Aries. Make sure you’re wearing comfy shoes and that you have a lot of Band-Aids in your wallet because you never know where life will take you now! A present for yourself. Aries loves itself and all its independence. Harness this confidence and self-love by treating yourself to something special that’s just for you! Going too fast. Impulsive Aries is in such a hurry to get ahead that they don’t always think about what they are doing or saying. Spontaneity is great, but if you rush too quickly you could hurt yourself or others -- both mentally and physically. Take a moment to look where you’re going and think before you speak while the Sun is in Aries. Excitement! Whatever happens while the Sun is in Aries, you’re likely to be seeking out things that are new and fun and bold and different. 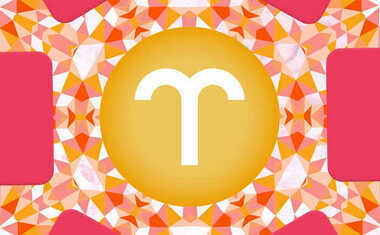 It’s time to shake off your same-old dull routine and seize life with the renewed energy of the bold, bright Aries Sun! People born under the Aries Sun are warriors through and through! You are highly motivated and find it hard to sit still. Always ready to begin something new, you live life head-first and never let fear hold you back. Your confidence is off the charts -- if something hasn’t ever been done before, you want to do it. People with their Sun in Aries prize their independence and see themselves as the center of their world. While this can come across as selfish to some, to an Aries, it’s about discovering yourself and your place in the world around you. The Sun in Aries ignites your heart with passion and excitement. Rather than focusing on long-term commitments, you like to live and love in the moment, with whomever and whatever makes you happy. 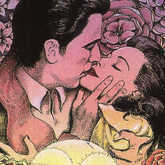 In your mind, love should be fun, physical, and lively. You love the thrill of the chase, but may get bored once the newness wears off. You like love, just like everyone else, but you’re more focused on self-love than other signs. Recognizing the ways you consider and care for your own needs can help you realize how to better understand the needs of others. In the workplace, you like to be hands-on and show others the quickest way to get things done. The Sun in Aries is about action, not strategy. While you want to be a winner in your field, you feel more like a champion when you challenge yourself and overcome your own limitations rather than defeating others or beating them to the finish line. Once one project is complete (or even before it’s complete), you’re on to the next one. Just beware of burnout -- your go-getter attitude is only a strength if you have the energy to maintain it! While you like to do things your own way, you know that life isn’t as much fun on your own as is it is with others. Your friends need to carry your same active energy and be ready to go out, take a risk, or try something new with you on a moment’s notice! Just remember that you can bond deeply over shared experiences, but the truest and most long-lasting friendships also have a healthy dose of trust, care, and support for one another. You’re the most independent sign of all! Your self-confidence is enormous, helping you live a life of excitement and experience without the heaviness of doubt or regret.